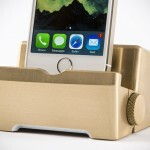 sound dock is quite passe at this point, however, if its first intention is to provide a resting place for charging and/or syncing your smartphone or tablet, then that’s a different story altogether. this is precisely what spur London-based Rocket Sound Systems to create the STAGE 5 Dock. by virtue of its product name, you can’t really appreciate what it has to offer but rest assure that this little guy is more than meets the eye. crafted from aviation-grade aluminum, this sleek dock comes built-in with a vibration speaker capable of 10W RMS and it has Bluetooth 4.0 technology built into it to boot. the former harnesses the power of the surface that it is sitting on to amplify the sound, letting it double as speaker and it has a companion app too, allowing you to customize the dock’s functionalities, including equalizer (yes, it has that too), select which apps to use the vibration speaker for alert sounds, set profile for different devices, and monitor the onboard battery status. the latter is mainly used to power the speaker, providing it with up to 3 hours of playback, but it could also be use to juice your device too. however, smartphone with high capacity battery may not be charge fully. 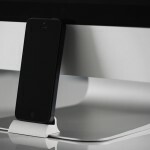 thanks to the replaceable charger tip, this dock is compatible with most devices, so you can save yourself the desktop clutter cos’ all you need is one dock to settle your charging needs across multiple devices. 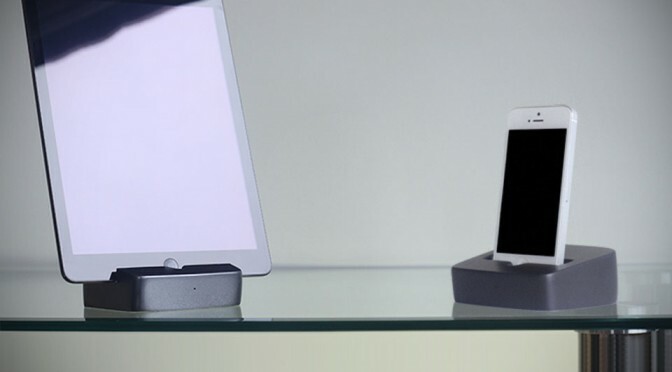 this also means when you switch make or model, chances are, you won’t have to send this dock into the closet or put it up on Craigslist for sale. 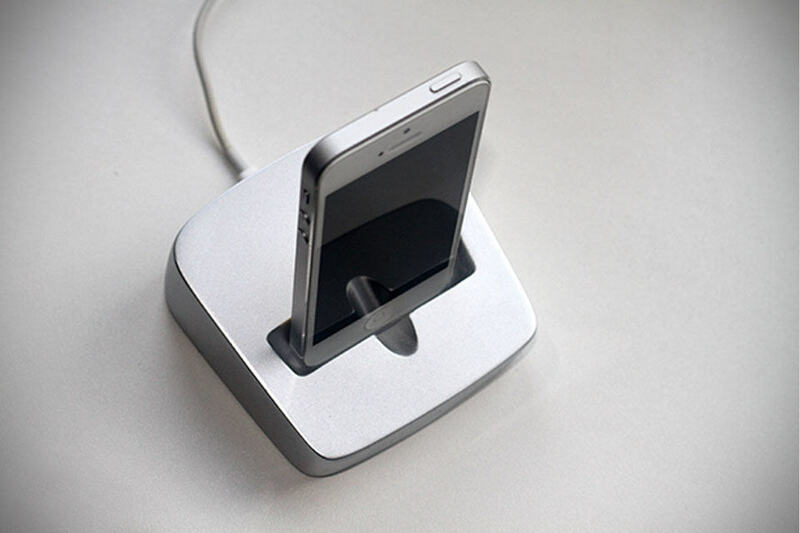 being crafted from aluminum, the accessory by itself should be weighty enough, but micro suction rubber bottom further ensures the dock stays put through the numerous docking and undocking you may subject it to. 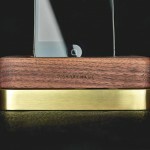 looking at its design and features, we must say we are surprised by its price point; available for both smartphone and tablet, the STAGE 5 Dock cost just £45 (about US$75) for early backers on its Kickstarter campaign. though it will still cost just £50 (around US$84) after the early bird special runs out. keeping in mind that you are essentially buying a speaker and a dock that’s not bound to any one make or model, which is kind of cool, thinking that how many accessories have come and go whenever we switch brands and models. a big thanks to Maris for the hat tip!